Elijah Stewart scored 20 points, Chimezie Metu 16 and Jonah Mathews 13 and Southern California rallied past Akron for an 84-53 win in a first-round game of the Diamond Head Classic Friday. Malcolm Duvivier made Three Point Jumper. Malcolm Duvivier missed Three Point Jumper. Jimond Ivey made Three Point Jumper. Assisted by Daniel Utomi. Virshon Cotton missed Three Point Jumper. Daniel Utomi made Three Point Jumper. Assisted by Jimond Ivey. Jimond Ivey missed Three Point Jumper. Daniel Utomi missed Three Point Jumper. Jaden Sayles made Dunk. Assisted by Eric Parrish. Eric Parrish missed Three Point Jumper. Virshon Cotton made Three Point Jumper. Assisted by Jimond Ivey. Jaden Sayles made Dunk. Assisted by Jimond Ivey. Daniel Utomi made Three Point Jumper. Assisted by Eric Parrish. Jaden Sayles made Jumper. Assisted by Jimond Ivey. Malcolm Duvivier made Jumper. Assisted by Jimond Ivey. Eric Parrish made Three Point Jumper. Assisted by Malcolm Duvivier. Eric Parrish made Three Point Jumper. Assisted by Daniel Utomi. Lucas Smith missed Three Point Jumper. Chimezie Metu made Three Point Jumper. Jordan McLaughlin made Three Point Jumper. Assisted by Bennie Boatwright. Chimezie Metu made Three Point Jumper. Assisted by Jonah Mathews. Chimezie Metu made Jumper. Assisted by Jonah Mathews. Elijah Stewart made Three Point Jumper. Jordan McLaughlin made Layup. Assisted by Jonah Mathews. Jonah Mathews made Layup. Assisted by Chimezie Metu. Harrison Henderson made Two Point Tip Shot. 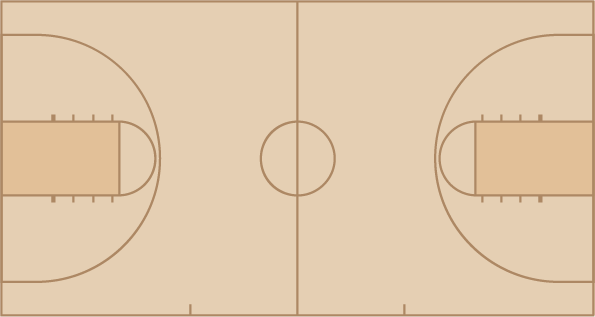 Charles O'Bannon Jr. made Three Point Jumper. Assisted by Shaqquan Aaron.